A Romance of the Republic, published in 1867, was Lydia Maria Child’s fourth novel and the capstone of her remarkable literary career. Written shortly after the Civil War, it offered a progressive alternative to Uncle Tom’s Cabin. 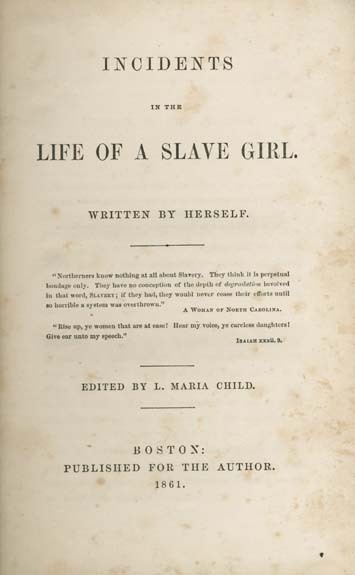 Writer, magazine publisher and outspoken abolitionist, Child defied the norms of gender and class decorum in this novel by promoting interracial marriage as a way blacks and whites could come to view each other with sympathy and understanding. In constructing the tale of fair-skinned Rosa and Flora Royal—daughters of a slaveowner whose mother was also the daughter of a slaveowner—Child consciously attempted to counter two popular claims: that racial intermarriage was “unnatural” and that slavery was a benevolent institution. But Child’s target was not merely racism. Her characters are forced both to reconsider their attitudes toward “white” and “black” and to question the very foundation of the patriarchal society in which they live. Speaking to a nation traumatized by the divisive war and anxious to find reunification, Lydia Maria Child, with her 1867 novel A Romance of the Republic, presents a portrait of a new national family that transcends the narrow racial and regional identifications of the antebellum past. Carolyn Karcher, Child’s biographer, notes that the novel was very consciously written to address the contemporary challenges of Reconstruction: “Written against the backdrop of the betrayal Johnson was engineering of all the promises the war had seemingly endorsed—genuine emancipation for African Americans; recognition of the indispensable role they had played as soldiers, spies, and auxiliaries; and their incorporation as equal citizens into a truly reconstructed Union—A Romance of the Republic insistently rehearses the history that its white audience was so rapidly forgetting.” This characterization of Child’s motivations for writing the novel hints at its complex rhetorical situation: the novel delves back into the recent, pre-war past to revisit the arguments against slavery, as a means of making the case for more progressive Reconstruction policies in the present and future. Worried, rightfully, that Reconstruction would undo the potential that emancipation had brought for a more egalitarian society, Child faced a contradictory writing task: she needed to represent a future in which the national “house divided” has been re-united while, simultaneously, not letting her readers forget the national divisiveness created by slavery in the recent past. It is these contradictory tasks, I believe, that led Child to choose the sentimental romance as the genre through which to write this early novel of Reconstruction. To address the threat of cultural amnesia, the novel, which is set almost entirely in the antebellum period, uses appeals to sympathy to undermine slavery—just as do Child’s earlier abolitionist texts. Yet to also avoid entrenching resistant readers in the past, the novel, at the same time, uses the romance’s insistence on union to represent a more promising future. Conflating domestic union with national (re)union (a conflation signaled by the novel’s title), Child gives her readers a means of imagining a new post-war nation. The novel’s final scenes take place in the days following the end of the Civil War and it is in these final pages that the “republic” of the title is imagined in the new domestic space that heroines Rosa and Flora have achieved for themselves. Though it does not end with a wedding, the novel nonetheless does end like the traditional romance plot, with the promise of a new, united family and continuing, utopian domesticity. Read the entire book here or here. Euro-American ideas and assumptions regarding African innate inferiority and racial inequality are central to the pseudo-scientific ‘race myth’ of White supremacy. In their search to find an expedient explanation, rationalization and justification for the horrific holocaust of enslavement, Europeans and later White Americans developed the international thesis and concept of African biological and intellectual inferiority. In this exploratory essay, I am endeavoring to present a critical review of the anti-racist, vindicationist tradition of African American and Haitian intellectuals who challenged, rejected and refuted the ‘scientific racism’ of Euro-American ethnologists, Egyptologists, anthropologists, historians, philosophers, and physicians. In another essay that we discuss in the contents of this manuscript, anti-racist theorists Stepan and Gilman argue that those stigmatized and stereotyped by the ideology of ‘scientific racism’ published prolific counter narratives that remain obscured and unrecognized by the historians of mainstream science. What did the men and women of African descent in the diaspora, categorized by the biological, medical and anthropological sciences as racially inferior have to say about the matter? How did they respond to the charges and claims made about them in the name of science? In seeking to provide credible answers to the latter questions, we are re-visiting the powerful and illuminating publications by Black American and Haitian writers of the pre-Antènor Firmin era which are viable proof of the vindicationist tradition inherent among diasporan Black intellectuals. This school or community of literate intellectuals boldly offers a passionate and consistent rhetoric of resistance to economic and psychological enslavement and the mis-education of their people. This essay remembers and pays homage to those public intellectuals of the early and late nineteenth century who dared to disagree with popular opinion and proceeded to debate the dangerous discourse of race and the fallacy of White supremacy. Central to our narrative are the names and voices of David Walker, Lydia Maria Child, Frederick Douglass, Martin R. Delaney and George Washington Williams. All of the aforementioned writers preceded the publication of Haitian scholar and statesmen Joseph Antènor Firmin’s The Equality of the Human Races in 1885. Haitian anthropologist, Egyptologist, Pan-Africanist and politician J. Antènor Firmin did not rise out of an intellectual vacuum to conduct study and research for his massive and masterful manuscript. As I attempt to demonstrate in this paper, there is a long standing pre and post Firmin intellectual tradition in the United States and Haiti during the early nineteenth and continuing throughout the twentieth century. Like many of the intellectuals already mentioned, Antènor Firmin (a descendant of the Haitian intellectual Maroons) obviously did not possess an inferiority complex. He was not intellectually intimidated by the dominant thinking and behavior of the advocates of racial ranking and hierarchy. A bold and brilliant thinker, he re-envisioned and re-conceptualized the image and pre-colonial cultural heritage of African descended people. Lastly, my essential purpose in presenting this paper is to convey to the reader(s) that prior to the invention and propagation of the ‘race myth’, the concept and belief in Black inferiority was non-existent. This dissertation examines how early American authors utilized the concept of miscegenation as a way to alter the American experiment. By invoking and exploring the paradox that Thomas Jefferson writes into existence with the Declaration of Independence and Notes on the State of Virginia, this dissertation seeks to illuminate the ways that early American authors were influenced by Jefferson’s paradoxical thoughts on race in America. How do these authors attempt to solve the Jeffersonian conundrum? In chapter 1, “Practical Love: Lydia Maria Child’s Hobomok, Miscegenation and Nation,” Child forwards miscegenation as a way to successfully combine Native American culture with Euro-American culture. In chapter 2, “The Body Politic and Cultural Miscegenation in Hope Leslie or, Early Times in the Massachusetts, ” I am intrigued by Sedgwick’s character, Magawisca. She becomes an agent of nation formation; it is through her that Hope learns self-control and composure. Ultimately, I interrogate Magawisca’s position in the nation state and her disappearance at the end of the novel. In chapter three, “Challenging the Body Politic: William Wells Brown’s Clotel; or the President’s Daughter and Jeffersonian Republicanism” and chapter four, “‘This is my Gun’: Frank J. Webb’s Radical Black Domesticity,” I shift the discussion to African American literature and its use of miscegenation. In Clotel, William Wells Brown creates a fictionalized account of Thomas Jefferson’s African American descendants. Using Jeffersonian myth, Brown invokes the nation’s founding documents and develop mulatto characters that are the physically embodiment of the Jeffersonian paradox. And in chapter four I examine Webb’s use of domesticity and miscegenation as a way to forward a new black middle class that is capable of being free and, more importantly, being citizens. Read the dissertation here (may require log-in). This dissertation examines how popular nineteenth-century white women writers depicted interracial romance in their fiction. I focus on E. D. E. N. Southworth, Louisa May Alcott, Rebecca Harding Davis, and Lydia Maria Child, authors who composed what I call illegal fictions, largely neglected works that explored the possibilities of interracial unions between blacks and whites. These authors, all abolitionists, denounce slavery in their works while simultaneously reflecting upon the limitations of the feminine roles that they were expected to play in society. I approach their fictions through three critical lenses: racial theory, sentimental narrative theory, and biography to determine the implications of the hybrid individual, national, and textual identities present in the narratives and in the authors’ lives. On the one hand, these illegal fictions attempt to negotiate the tension between white women and black men and women, each of whom strove to be recognized as citizens. On the other hand, their fictions point to how the idea of miscegenation literally a mixing of races informed the creativity of these women authors during the years spanning the Civil War. At the imaginative level the authors offer visions of either a successful or failed multicultural America; at the generic level they engage in a blending of forms: slave narrative merges with the sentimental novel to initiate a dialogue between African and Caucasian American literary traditions. Login at HKU to read the dissertation here.